Time is ticking, and Christmas will be here before you know it. Do you still have some people you need to check off your shopping list? If so, why not make an awesome gift yourself and avoid the crowds at the mall? 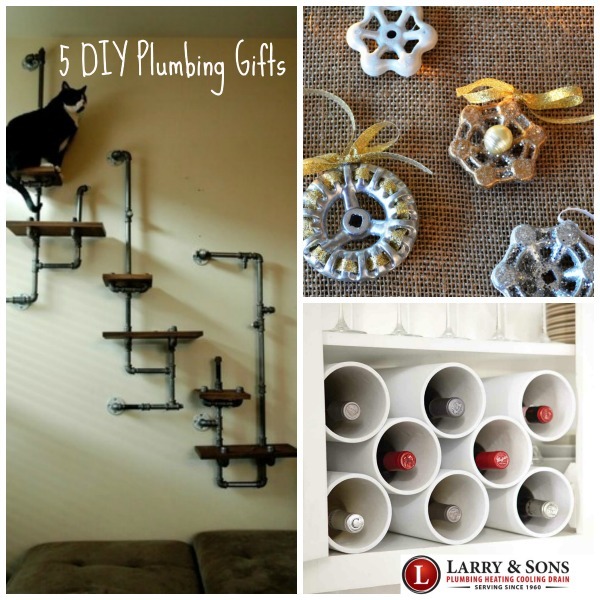 Believe it or not, you can make some pretty incredible things using plumbing supplies from the hardware store. Check out these quick and easy ideas! It doesn’t get much cheaper and easier than this! 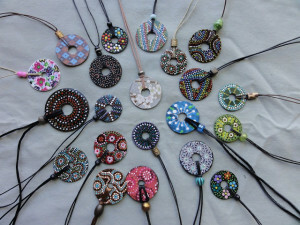 Standard metal washers from the hardware store can be transformed into wearing pieces of art with a little bit of paint, a cord and a bead. This quick and easy craft is great for kids, too. What do you get for the stylish cat lover? 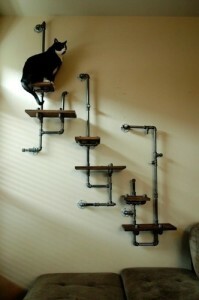 Forget the traditional cat tree that clash with the décor, and build these amazing cat shelves using pipes, fittings and wood. 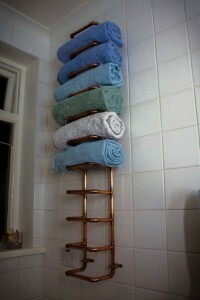 This one is made from steel pipe, but you could also go with copper depending on the recipient’s taste. Turn old (or new!) 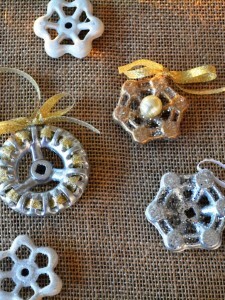 plumbing knobs into adorable ornaments in minutes with a little hot glue, paint, glitter and ribbon. This is another project that’s great for kids. PVC pipes are cheap and incredibly versatile. Pick up some 4-inch PVC pipe, and cut it to length using a hacksaw. After you sand the edges smooth, clean the outside of the pipe with acetone. Prime then paint your desired color. 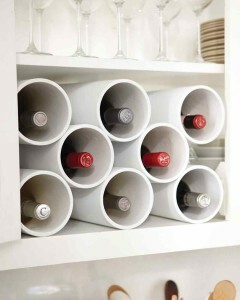 Join the pipes using Velcro straps, and you have a quick and easy wine rack. From all of us here at Larry & Sons, we would like to wish you a Merry Christmas and a wonderful New Year! If you find yourself in need of a Hagerstown plumber or HVAC technician this holiday season, please don’t hesitate to give us a call at 301-733-5428.